Governor Willie Obiano of Anambra State, Thursday, presented before the members of the state House of Assembly a draft budget of N166.9 billion for tge 2018 fiscal year. Obiano said the 2018 budget entitled “Budget for Value-for-Money, Economic Diversification and Job Creation” would create jobs and also boost the state’s economy. He said Job Creation was number three in his 2018 fiscal year with a view to ensuring that Anambra tackled unemployment, underemployment and more importantly, provide a means of livelihood for the poor and vulnerable. He said the estimate illustrates his administration’s resolve to continue to deliver the dividends of good governance to the people of Anambra. The governor, while analyzing the budget, said the Value-for-Money entails that the state would “carefully assess all activities and make difficult trade-offs to ensure we focus solely on implementing projects and programs that provide commensurate value to Ndi Anambra. 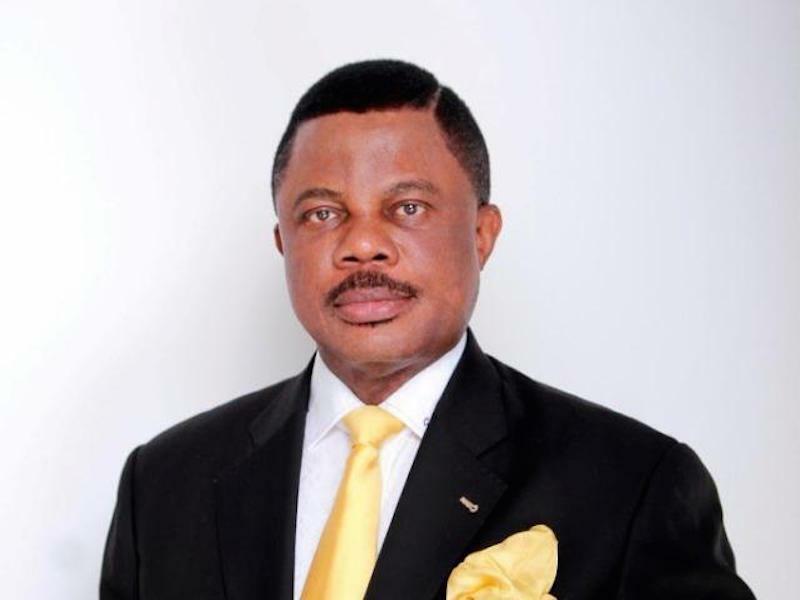 On ‘Economic Diversification’ Obiano added that his administration would ensure that Anambra attains fiscal independence over the next four years through her internally generated revenues, which he believed should cover “our recurrent expenditure with the balance to support capital interventions. We hope to aggressively embark on public finance reforms to optimize and strengthen our tax administration processes”. “Strategic Collaborations: Fourthly, we hope to develop stronger ties with the Federal Government MDAs and key Development Partners (such as the World Bank, European Union, United Nations System, etc.) to jointly intervene in Social Investments, Works & Infrastructure, Education, Healthcare and Environment sectors of our economy. To achieve this, we have aligned this budget to the National Economic Recovery & Growth Plan and the United Nations’ Sustainable Development Agenda 2030. “Public-Private-Partnerships: And finally,our fifth target outcome will be to strengthen and refocus our Public-Private-Partnership Strategy. Significant resources will be channeled towards targeted promotional processes to attract large scale export-driven investments across our key economic pillars in the State”. A breakdown of the budget showed that in the next fiscal year, it shall be funded by the state Internally Generated Revenues projected at N2.5bn monthly compared with the current run rate of N1.35bn monthly as claimed by Governor Obiano, as well as through grants and counterpart funds estimated at N20bn; other capital receipts comprising of concessionary debt financing for the state social sectors estimated at N18.4bn. Similarly, the state expects to receive Reimbursements and Refunds from Federal Government for works done on Federal roads and Paris Club payments estimated at N28bn of the 43.8bn owed to the State; while personnel costs such as workers remuneration, replacement of retired teachers, promotions and appointments were estimated at N21.6bn vs. 2017E of N20.4bn. It also showed that the state expects to spend N63.9bn on Recurrent Expenditure and N103.1bn on Capital Expenditure. It shows N27.93bn would be spent on Roads & Infrastructure comprising completion of 150km of roads across the state, road constructions, rehabilitation, bridges construction, installation of Traffic Lights on strategic roads and others. Other sectors of the state economy also got significant budget proposal from the estimate. The state also budgeted N7.5bn for Community Social Development Program, and others. The governor scored himself high on the implementation of the budget of the passing year, saying that he was able to meet the budget proposal and promised to do better in the coming year. Earlier commending the governor, the Speaker, Anambra State House of Assembly, Rt. Hon. Rita Maguagwu, said that a good number of items budgeted for in 2017 running estimate was accomplished, and promised to give accelerating hearing on it to fast track its passage.